Bucket by bucket, the earth was gathered more than a thousand years ago to form the nearly 50-foot temple mound at Letchworth-Love Archaeological State Park. 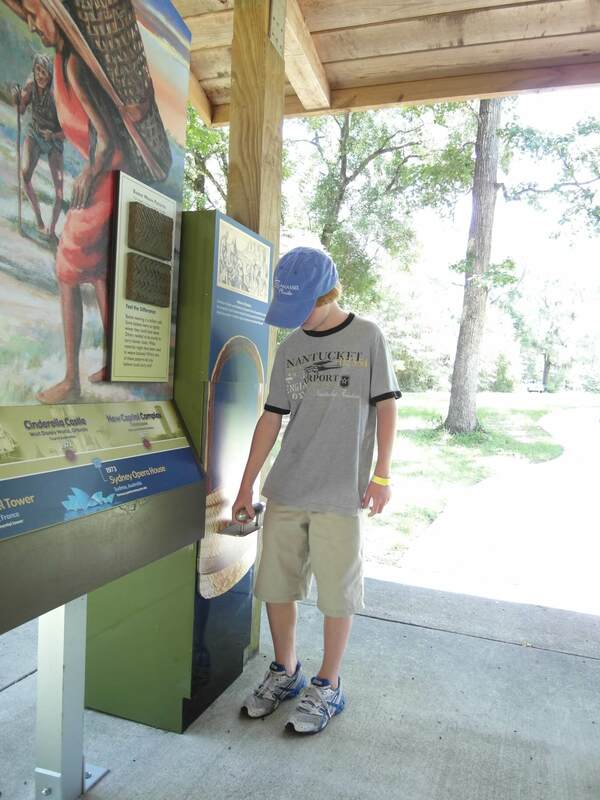 Stop by the open-air visitors’ center on your way to the mound, and you can lift a recreation of just how heavy that basket of dirt would have been. 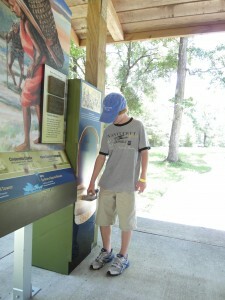 An interactive exhibit at the park shows just how heavy a basket of dirt used to build the mound would have been. It’s no small accomplishment for 250 AD, one of the estimates of when the Weeden Island culture built this mound. 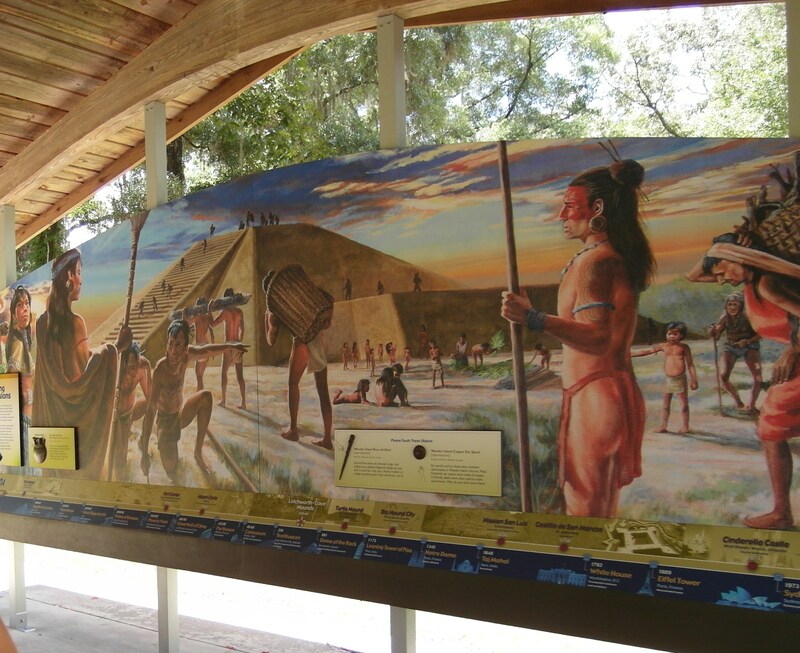 It could have taken an estimated 14 million trips with a 20-pound basket to build just that mound, which is even more impressive when you realize that the temple mound is just one of the ceremonial mounds in the park and the surrounding land — the area is fairly crawling with them. You don’t notice it immediately, or even under scrutiny in some cases, because many of the mounds are small, only a few feet in height. When the grasses grow tall beneath the pines, the mounds can be disguised as normal contours in the landscape. Then you remember that you’re in Florida, where contours in the landscape tend to be few and far between. The Weeden Island people as portrayed at the park. From the visitors’ center, continue up the boardwalk to the mound. It’s covered in trees and shrubs, but if you cast your mind back into history and recall what you’ve seen in the painting at the center, you can begin to envision what this spot might have looked like more than a thousand years ago.